Today’s special guest is author Annette Oppenlander. 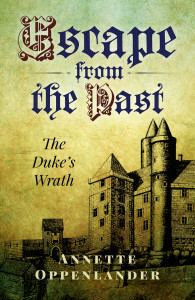 She’s chatting with me about the first novel in a new historical YA trilogy, Escape from the Past: The Duke’s Wrath. During her virtual book tour, Annette will be awarding a $25 Amazon or Barnes and Noble (winner’s choice) gift card to a lucky randomly drawn winner. To be entered for a chance to win, use the form below. To increase your chances of winning, feel free to visit her other tour stops and enter there, too! Annette Oppenlander writes historical fiction for young adults. When she isn’t in front of her computer, she loves indulging her dog, Mocha, and traveling around the U.S. and Europe to discover amazing histories. Welcome, Annette. Please tell us about your current release. Escape from the Past: The Duke’s Wrath is book one of a trilogy about a nerdy gamer who tries out an experimental computer game and time-travels to medieval Germany where he must survive and figure out a way home. Envision it as action/adventure set in the Middle Ages. In 2012 I visited the ruins of Castle Hanstein in Thuringia, Germany. Walking through the ancient stones, I felt as if the walls were talking to me. I came across a snippet of information about a knight who’d feuded with a neighboring duke over a beautiful woman. I’d also raised two boys who are avid gamers, something I resented at times. Putting the two ideas together created the Escape from the Past trilogy. I heard more rustling. Louder now. Not from the men, but from the woods behind me. My knees buckled and I was vaguely aware of the thudding sound I’d made. I had to figure out what had just happened, retrace my steps. Where was my room? My mind churned as I scanned the ground for some sign of home, something familiar. Out of the corner of my eye I saw the bearded thug turn his head. Ducking behind a hazelnut bush, I squinted through the leaves. The thug had raised his sword and stepped toward my hiding place. I crouched lower, my ears filled with the pounding of my own heartbeat. Rough laughter came from the other two riders. Despite my panic I caught a glimpse of them poking their swords at the injured man’s shoulder. I smelled their stench—and the wounded man’s fear. The bearded thug continued in my direction. Sunlight bounced off the edge of his blade. He took another step, scanning, listening. I forced my shaking body to be absolutely still. This had to be some kind of challenge in the game. The man kept coming. Twenty feet. Everything about him looked menacing: his eyes the color of mud, his razor-sharp sword wide as a hand. Fifteen feet. I held my breath. “Have mercy, My Lords,” the bleeding man cried. He was kneeling now, waiving his good arm in a pleading gesture. “I beg you,” he wailed. I lowered my gaze. Somewhere I’d read that the white of a man’s eyes could give you away. Keeping my lids half-closed, I peeked through the leaves once more. The thug was ten feet away. Close up he looked worse, a brute with arms the size of my thighs, his chest covered in leather and wide as a barrel. Despite his size he had the soundless walk of a stalking animal. I watched with paralyzed fascination. Any second I’d be discovered, but all I managed was to shove my hands into my jeans pockets to keep them from trembling. It’s a computer game, my brain screamed. It’s real, my gut argued. I just finished book 3, Escape from the Past: At Witches’ End which I expect to be released in late fall of 2016. My next project will be a story set in WWII and post-war Germany based on my parents’ experiences as youths. I began writing fiction in the late 1990s and worked in PR/advertising for years. I have considered myself a writer of fiction since completing my first manuscript in 2010 which by the way is still unpublished. I’m fortunate I can write full-time. I typically start around 8:30 am and write until noon. I take a break and walk the dog and often return to writing or editing in the afternoon. I read a lot, but usually wait until later afternoon and evening. I typically do first draft creative writing in the morning because I’m freshest then. I wish I could say I write in the shower or use an old-fashioned typewriter. The only strange thing I sometimes do when looking for a particular word or phrase is that it comes to me in German – the language I spoke for the first 27 years – and I look up the translation in English. I sort of draw from two vocabularies and actually think this enriches my writing. I wanted to study animal behavior, probably biology. I also thought about nursing in a children’s hospital, but quickly realized after visiting the poor kiddos that my skin wasn’t thick enough. I ended up studying business administration and got an MBA in marketing/market research. I’m a certified chocoholic, indulging in good chocolate almost daily. I usually keep a stash in the kitchen cabinet and am always on the prowl for European chocolate. Thanks for being here today, Annette! Happy writing. Hello, this is Annette. Thank you so much for hosting me, Lisa. Just the other day somebody asked me why I thought readers love historical fiction. Well, I know why I like it, but I'd love to hear what it is that draws other readers to this genre. If you're not into historical fiction and enjoy a different genre, what is it about that genre that fascinates you? What genre do you most enjoy? Mai, I'm an indoor reader. Indiana in the summer if full of mosquitoes and I've never found a comfortable place. Becky, I love pretty much all stories set in history, but I also enjoy mysteries and thrillers. If possible I read those genres in YA. I used to read a fair amount of dystopian fiction, but grew tired of it. How about you? Thanks so much for the excerpt and the chance to find out more about Escape from the Past. Sounds really interesting! Thank you, Helen and Rita. I'm glad you enjoyed it! I enjoyed the excerpt and the interview, Annette, sounds like a great read, thanks for sharing and good luck with the tour! Thank you for reading and commenting, everyone. This sounds like an exciting series. I loved the excerpt. 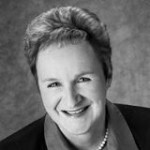 Hi Annette, I enjoyed the excerpt and the interview, thank you for sharing! As a matter of interest, was it difficult becoming a published author? Helen, yes it was a long journey. The literary agent I'd signed with didn't work out, so I went through some painful realignment. It took many years and several manuscripts to get there, but in the end it worked the way it should. That's why I always recommend that writers never ever give up, invest in their craft and surround themselves with good people. The results will come in time. Thank you for the reply Annette! I'll take inspiration from your post. Perseverance is key. I'm an artist myself, but it's hard when it feels like the only person who likes your work is you! If you weren't an author, what would you be? Helen, I feel your pain. It is hard, but remember that many famous artists were once where you are now. They had a vision and they kept pursuing it against the odds. And one day, they reached a breakthrough. Keep doing what you're doing, get feedback, get better and it will happen for you. Your question honestly stumps me. I'm just so glad I found my calling that I hadn't thought about an alternate route. I think I'd like to work with animals, probably as a biologist or veterinarian or even as a helper in the Humane Society. Thank you. I don't think it helps that I have a great grandfather that was a very successful artist. Maybe one day I'll get my big break! A veterinarian sounds great! Do you have animals? Yes, I am the proud companion of a mutt. At eleven, Mocha is an old lady and very well behaved. So well that we walk without a leash around the neighborhood. We're roommates because she moved her bed into my office. Did you come up with the title for your book first, or at the end, once you'd finished writing it? What was the first book that you remember reading? I enjoyed the excerpt. Thank you for sharing. I typically come up with the title after the book is complete though I always have a working title. In the case of "Escape from the Past: The Duke's Wrath" I went through a long search process to find the best match. If possible, you want to avoid having the same title as other books. With the mass of books out there, that alone is a challenge. I remember reading a picture book of Winnie the Pooh. Loved it! Maybe that's where my love for bears stems from. Growing up I never had dolls, I always played with stuffed bears. I still have my old Steiff bears. Of course, I adore bears in the wild, too.